Saturday morning I took to the kitchen to bake the Provena packet mix. Provena specialise in oat products and sent me a lovely box of goodies to try! 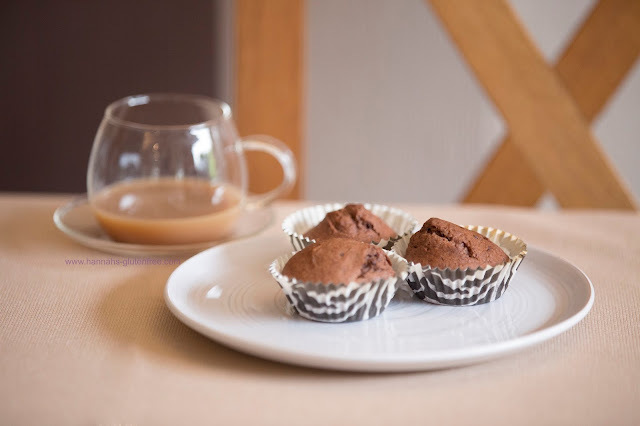 Obviously being the chocoholic that I am I just had to bake the chocolate muffins first. 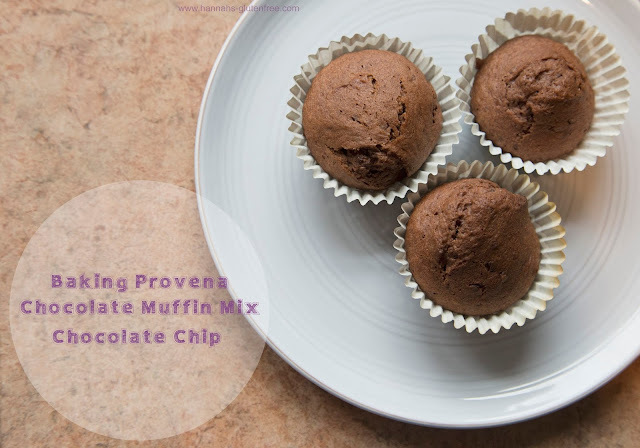 On the pack it states that this mix can make 8 muffins or 20 cupcakes. I decided to bake these as cupcakes as I find that sometimes muffins are a little too large for a snack. To make this mix, all you need is three eggs and 150ml of melted butter. I measured out 150g as butter's weight seems to be almost equivalent to its ml melted. Then all you do is add the packet mix and you're away! The fantastic thing about the Provena mix is that it is more or less impossible to get wrong, because there is only two ingredients to add. As it goes they are staples in my fridge anyhow, so no shopping required! I find that packet mixes that have so many ingredients to add are quite pointless in my eyes. You may have just taken the time to bake from scratch. For me a packet mix is something I have in the cupboard and get out when I want to make baked goods but quickly, particularly if people are coming over and I only have half an hour! This would make this great to bake with kids as there isn't much to remember! Texture wise this cake mixture is one of the best I have tried so far. There is a good sponginess, the mixure is well aerated and is not at all dry. Very small chocolate chips are incorporated, giving a slight gooeiness throughout, which provides a stronger chocolatey flavour suspended in the cake. I tested these on my whole family who are not gluten free. James ate three so that was a clear winner from the guy who is weary of any of my gluten free food! My dad couldn't tell the difference and everyone else agreed! This would be perfect to store in the cupboard to bake for friends who aren't even gluten free, as they really won't be able to tell the difference and you can join in too! I will most certainly be baking these again. Provena will also be at the Allergy and Free From Show in two weeks time, I would really recommend stopping by and taking a look at their products.